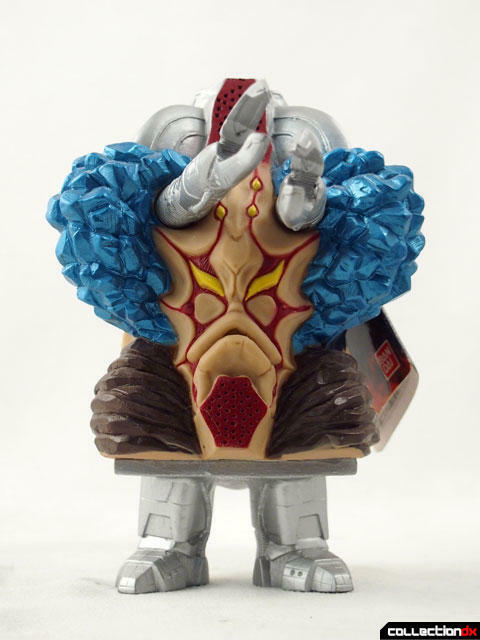 Garaon (ガラオン) is an enemy kaiju from Ultraman Dyna, the 1997 Tokusatsu series. 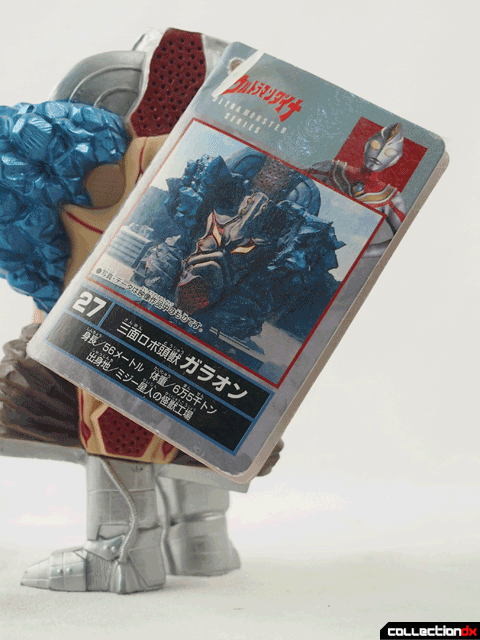 Garaon is a three-faced monster, designed in tribute to the kaiju Garamon and Dada. 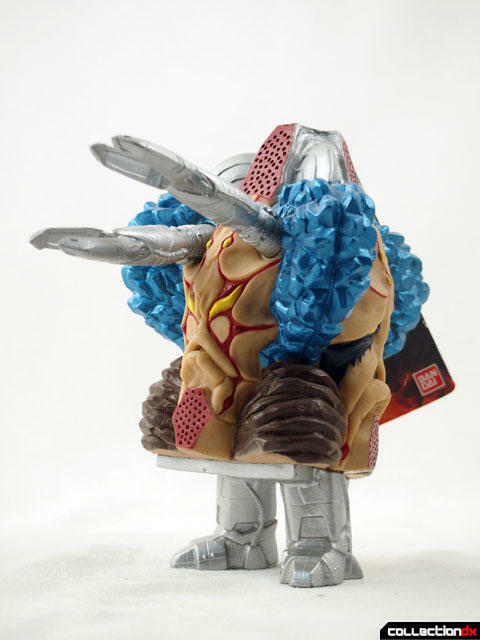 This is another example of the cheap Ultra Monster Series kaiju. These were typically sold with a tag and hung from a peg. Garaon had different weapons based on what face was attacking. The Sad Face has a "Tear Beam" attack. 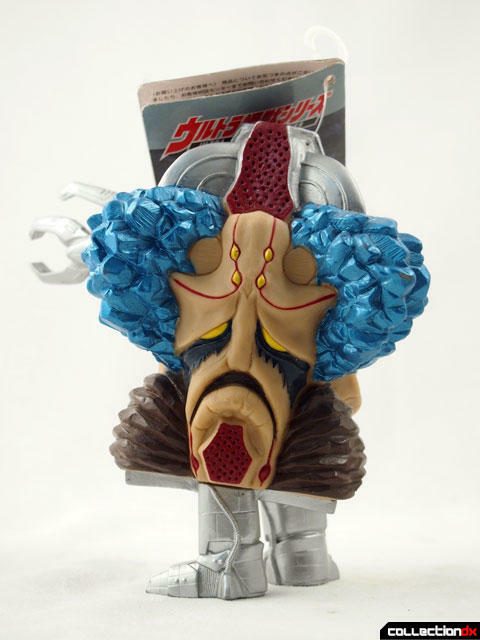 The Happy Face has a "Ha Ha Beam" and "Laughing Gas Attack"
The Angry Face has an "Eye Lazer" in addition to the claws. The claws move, but that's about it. 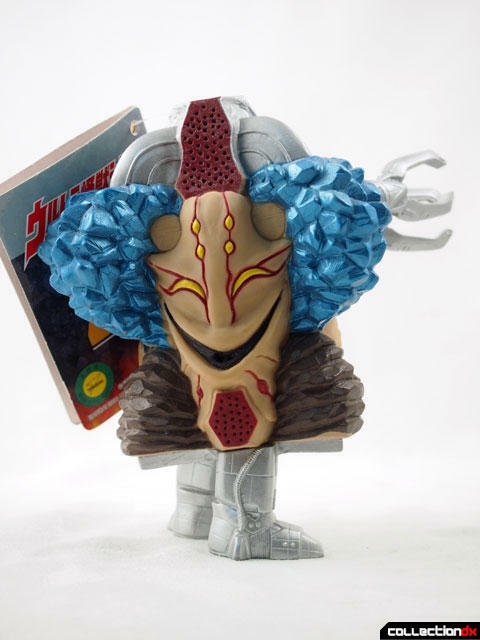 Garaon is a classic example of the odd looking (and somewhat anonymous) Ultra Kaiju that litter the later ultra series.